You may not have met Sophia, the first robot to get citizenship, but you definitely would have heard about her. Be it through the news or her interviews with celebrities, industry leaders and not only that, she was the one who said no to The Will Smith for a date. Have you wondered what will happen if you were to be interviewed by her for your next job or promotion? 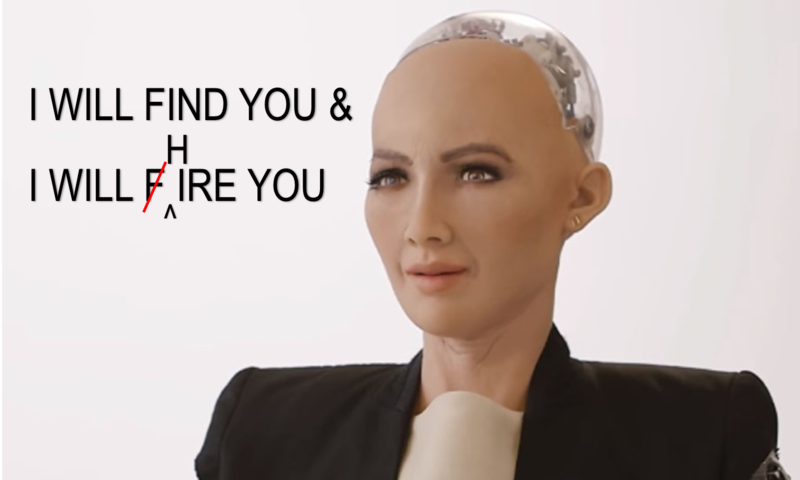 There are endless opportunities, it may not be Sophia but maybe the Humanoid could be representing the CEO of the organization, imagine giving interview to the head of the organization like Satya Nadella or Jeff Bezos, clearly no pressure there. Imagine if you have to give an interview to Humanoid Sophia from Hanson robotics. The chances are that you would be worried before the interview, however with Sophia you need not worry about your chances, as for her only thing that matters is how good you are and has no bias for anyone. Everyone is equal for her and you are compared on same parameters as others, which may or may not be true in case of a human recruiter. Imagine having to answer Sophia on the most intriguing question that a recruiter can ask. In general, all of us may say a thing or two which may or may not be true. But with Sophia it’s a big NO! Because while you are answering that, she is also verifying what you are saying with your social network profiles which can reveal a lot about you and whether what you are telling is true or not. Sophia: Why should we hire you over other candidates? Well with Sophia this would become an easy answer and a difficult one at the same time as she will crunch the data from all other resumes and analyze why you are better if you are better than others. Therefore, making it a difficult question to answer as a robot may not be swayed with your hustle. Robots may not be socially intelligent, but with latest advances they have learned how to judge people’s emotions and their body language. This helps them in evaluating you on parameters like communication skills, nervousness, excitement, enthusiasm and so on. As a candidate you are evaluated on these parameters ordinarily as well, but humans may not have standards set for these parameters. 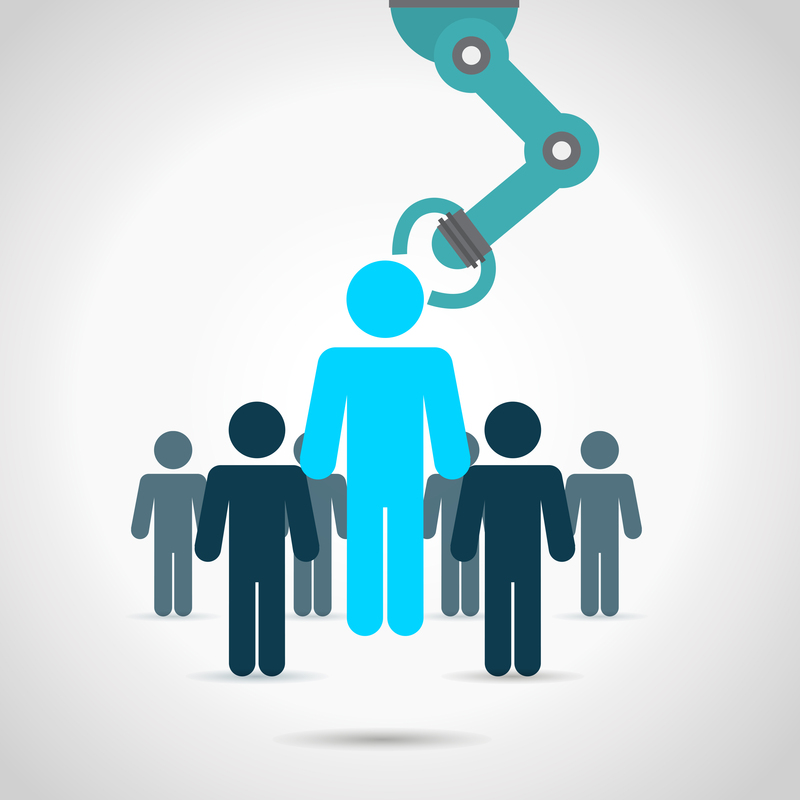 However, in case of robots, they have preset evaluation criteria and evaluate every candidate on same standards. Sophia: Do you have any questions for me? The biggest advantage that a candidate will get is a feedback or a result sheet which can inform the candidate about the areas of improvement and help increase the candidate recruitment experience. At the same time explains them the reason why they were selected or why they were not selected for the job. This would be possible if we have something like Sophia as she can store the whole data and automate the process of sending out the results and feedback. This is not only an advantage for the candidates but for the employer as well, as it helps them increase their employer brand image which can help them attract top talent much more easily. In conclusion, one may find use of robots as disengaging as they are impersonal and difficult to interact with, however, these robots will help make your recruitment cycle easy, fast, unbiased and transparent. Not only this, if your interview is scheduled with a robot it means that your resume has been shortlisted from a chunk of resumes and the employer is genuinely interested in the skills that you possess. They also help in increasing recruiters’ efficiency and ease down the whole process for both the employer as well as the candidate. The best part is that a robot recruiter can take your interview at the scheduled time and would not cancel it last minute. We should accept the fact that eventually a lot of functions in recruitment will be automated or carried out by robots/ bots. Rather than being averse to the idea, we should think of the ways of how it can be beneficial for all of us and how it can enable us to focus on more critical tasks. You may not have a Sophia for your organization but hiringplugTM can provide you with a host of benefits that are similar to what Sophia could. hiringplugTM is a cloud based RaaS platform which is AI and machine learning enabled and helps employers to connect with recruitment agencies. It comes with an integrated applicant tracking system and vendor management system. Being free to join, a pay per hire system is followed and one gets the ability to select from a huge talent pool.